A MAN who trespassed on a viaduct and held up Eurostar and Southeastern High Speed services, delaying the journeys of at least 7,000 people, was protesting about the way politicians are ‘messing up’ the process of leaving the European Union, a court was told. The viaduct, just outside St Pancras International, is roofed and carries HS1 over the East Coast Main Line. He told police he was also carrying a Stanley knife. He had started his protest at 19.00 on Friday, which was the original day for Brexit, and could only be brought down on Saturday morning. 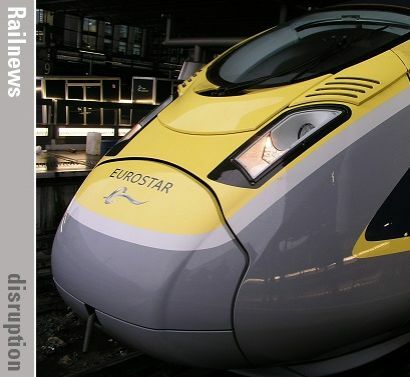 Eight Eurostar services were cancelled during the incident, while Southeastern cancelled 16 High Speed services to and from St Pancras. Another 44 Southeastern trains were turned short. Maher also made remarks to police about illegal immigrants and British foreign aid to India. Maher pleaded guilty to causing a public nuisance, but was remanded in custody on the malicious damage charge. He is now due to appear at Blackfriars Crown Court on 29 April.